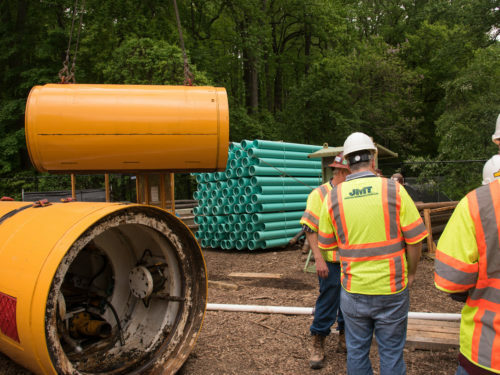 Long-distance, trenchless micro-tunneling highlighted this sewer interceptor replacement project in the District of Columbia. 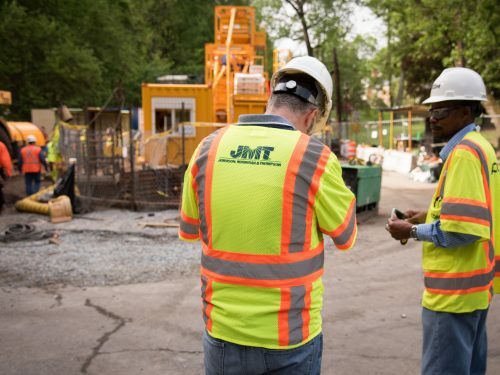 JMT water/wastewater engineering staff provided preliminary and final design services to build 4,340 LF of 24-inch diameter replacement interceptors in Oregon Avenue, NW and Bingham Drive, NW, adjacent to and through Washington, DC’s Rock Creek Park, which is administered by the National Park Service (NPS). 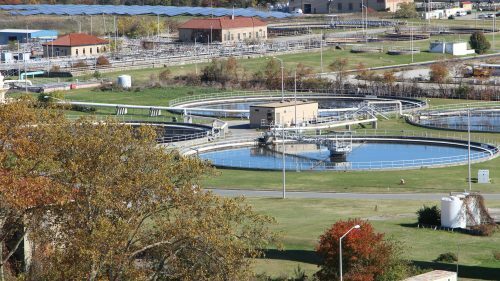 The intent was to eliminate the rehabilitation of an existing sewer system within a sensitive environmental area, while replacing the sewer systems in paved roadways. 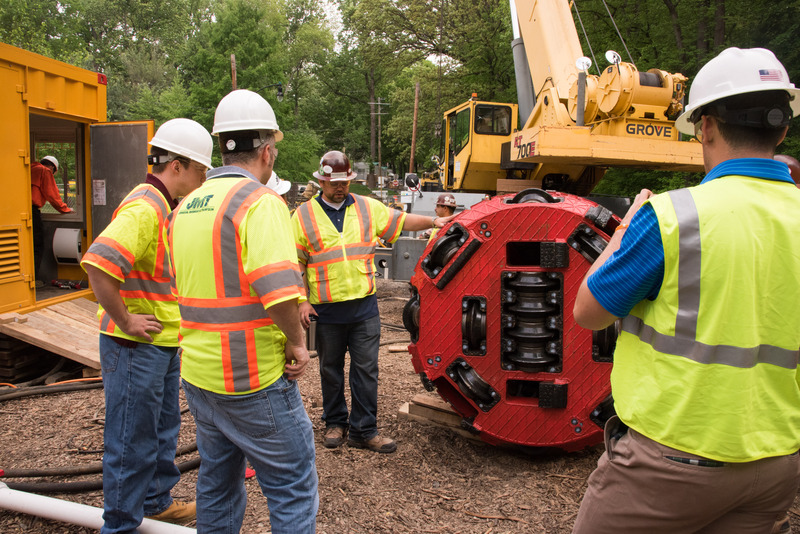 More than half of the project length was designed for trenchless micro-tunneling boring machine (MTBM) methods for deep segments within rock layers and culvert crossing sections. 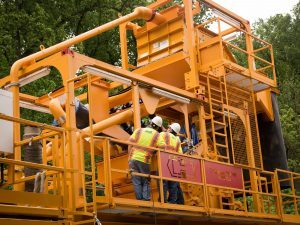 Due to the hilly terrain of Oregon Avenue, sewer flows had to be redirected against the natural fall of the land, and therefore, buck grade. The sizes and grades of the sewers were designed to manage both dry and wet weather flows, and to be as flat as possible to minimize the depth of the pipeline while still achieve self-cleansing velocity. The many challenges on this sewer interceptor replacement project included designing the new pipeline with a balance between hydraulic requirements and topographical constraints, and identifying the best construction method for each pipe segment based on complicated geological conditions, limited budget, a tight design schedule, and coordination among multiple jurisdictional agencies with conflicting requirements for six permits. To avoid a lengthy Environmental Assessment process, the project areas were confined within narrow roadways, congested with numerous underground utilities, and did not impact the adjacent forested areas in the NPS property. 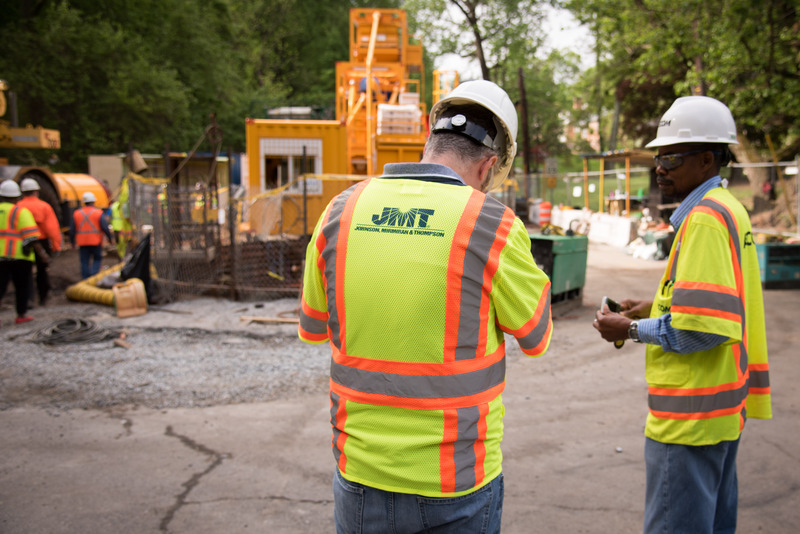 In support of the design, JMT’s Natural and Cultural Resources group completed a Phase I archaeological survey and monitoring in coordination with the client, including documentation, assessment, and mapping of all archaeological remains in the direct Area of Potential Effects within Rock Creek Park. 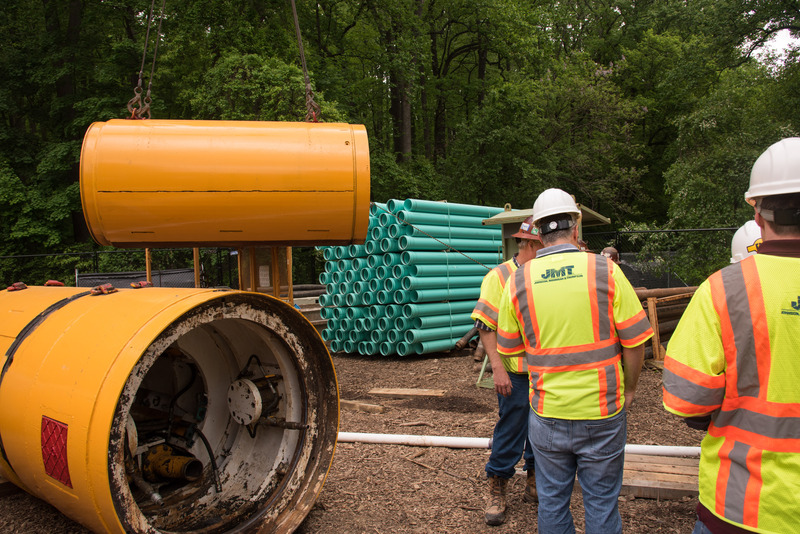 The construction method for each pipe segment was determined based on the location, depth, and soil boring and seismic refraction survey data collected under this project. Open-cut methods were applied for relatively shallow pipelines within soil/mixed-face layers. 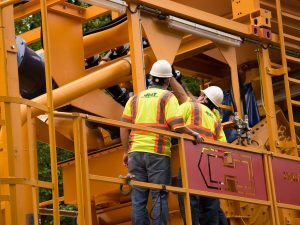 Trenchless sections, and launch and receiving pit locations, were based on deeper pipeline segments and the horizontal alignments. 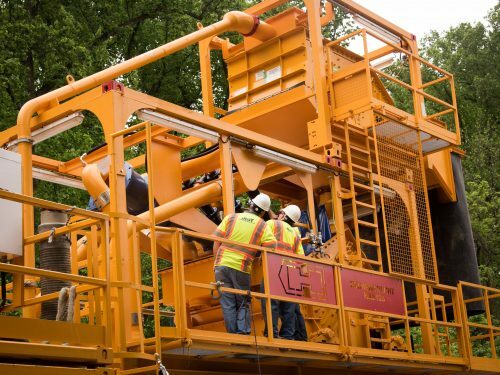 The project was designed to allow either a 48-inch or 60-inch steel casing installation by an MTBM to provide the bidding community the flexibility to use locally available MTBM equipment. To avoid a 70-foot-deep manhole in Oregon Avenue, JMT designed a single 800-foot tunnel bore through rock. 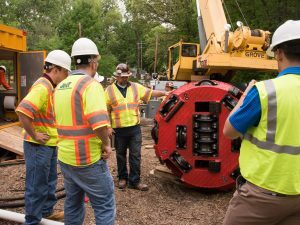 This bore was one of three separate tunneling drives that were intentionally aligned to allow a contractor to combine drives if they had the equipment and capability to accomplish more than the 800 feet. 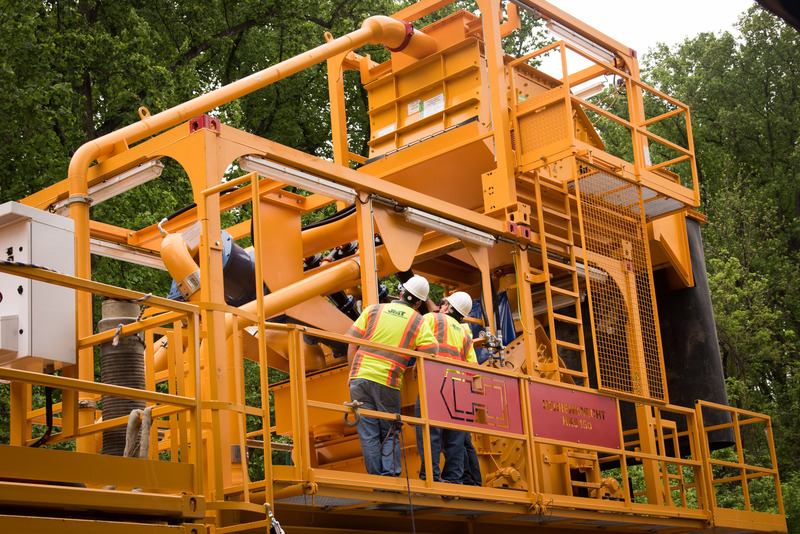 The contractor installed all three sections in one long-distance, record-setting 1,350 LF drive that exceeded any previous single steel-casing bore east of the Mississippi River. 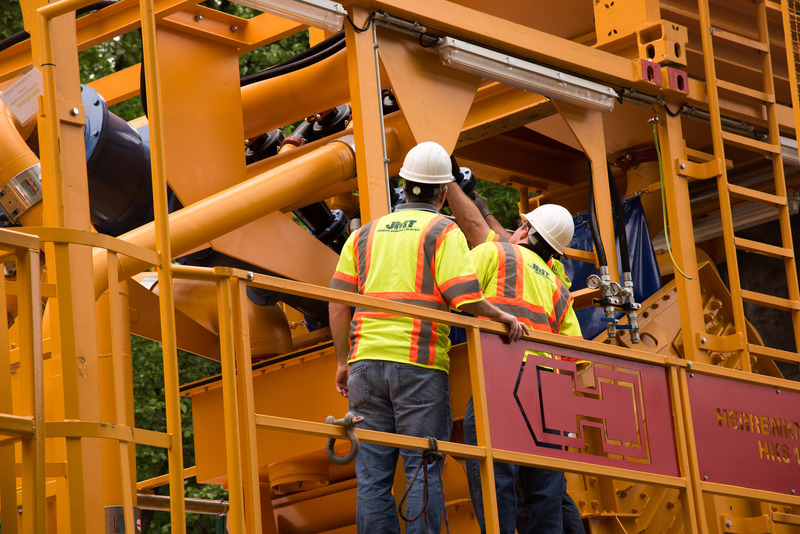 The project was featured in North American Microtunneling magazine.